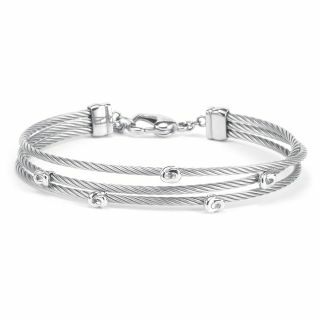 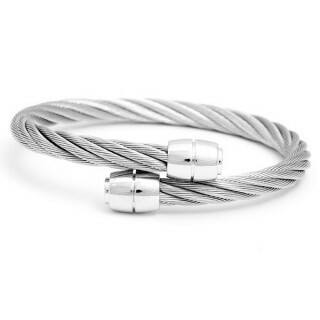 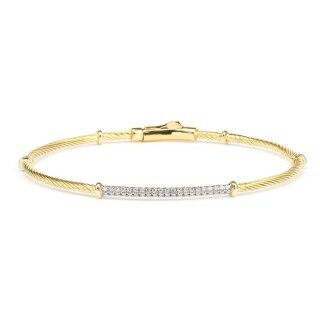 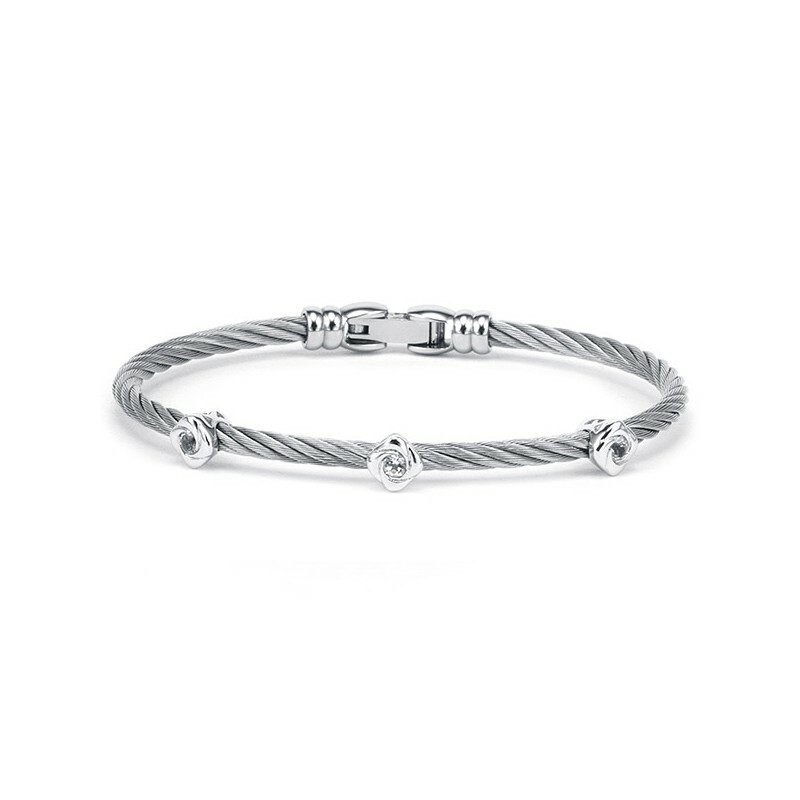 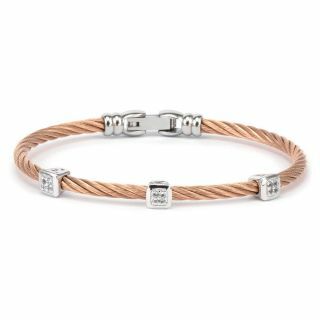 Silver and cable bangle - 3 white topaz 0.26Cts. 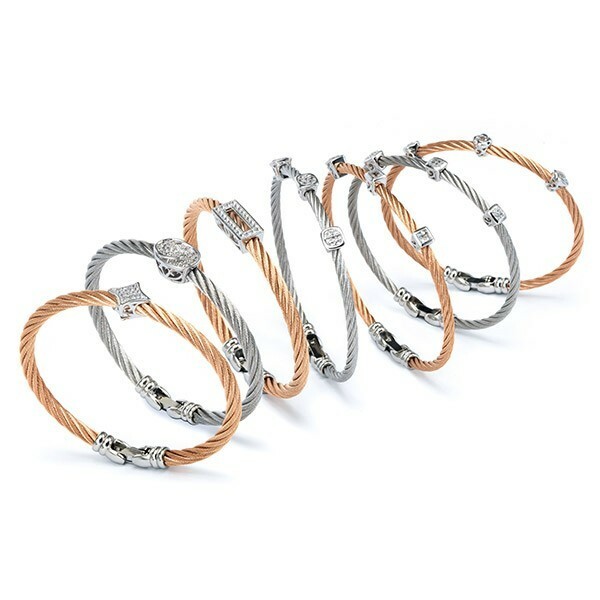 LES DEBUTANTES swirl bangle in steel, silver, and topaz. 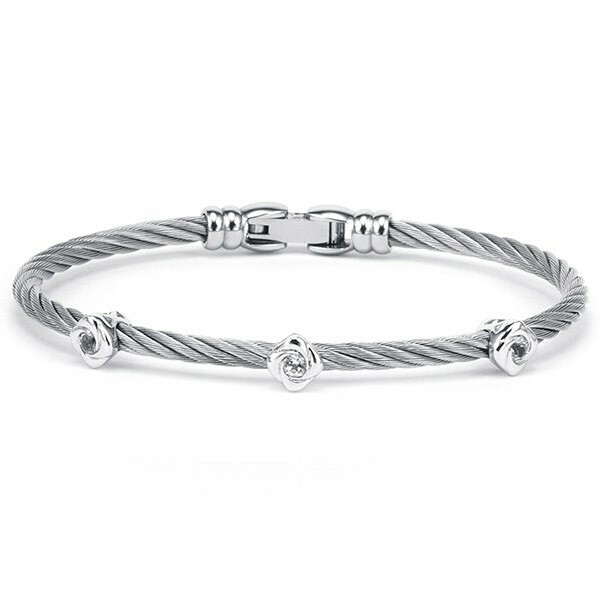 Feel like the belle of the ball, whoever you are. 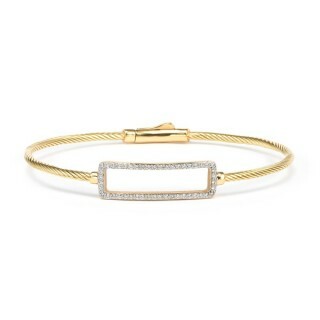 The Debutantes of today are just as likely to be female entrepreneurs as they are heiresses. 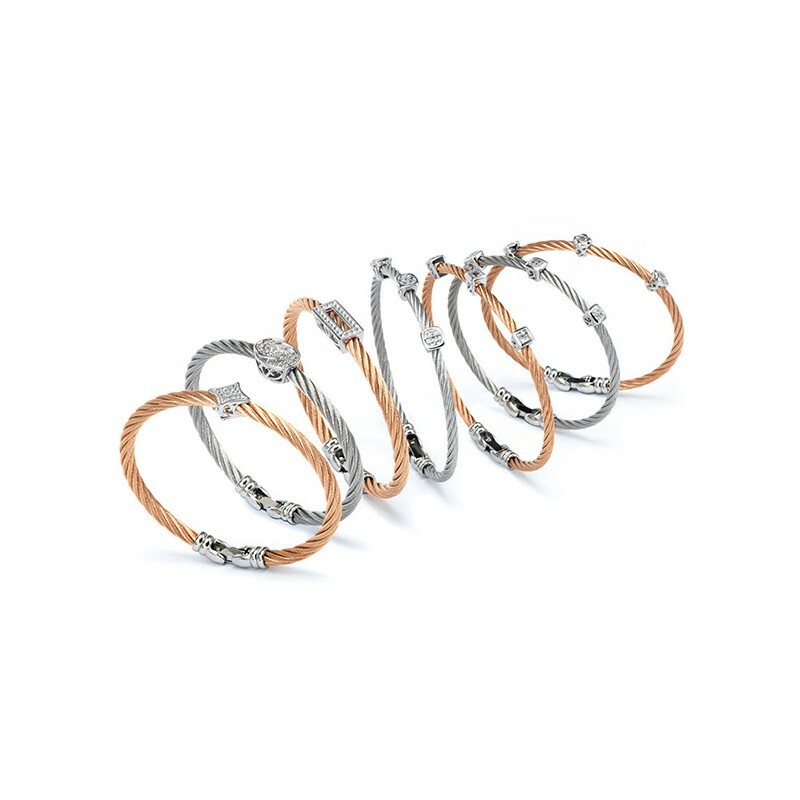 Whoever you are, this stackable collection of glamorous bracelets is just what you need for the party season. 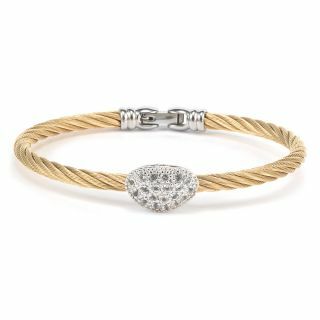 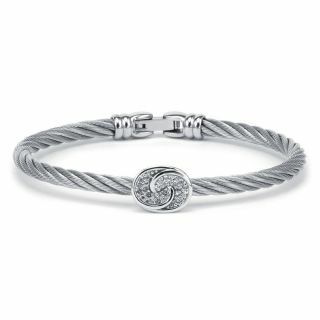 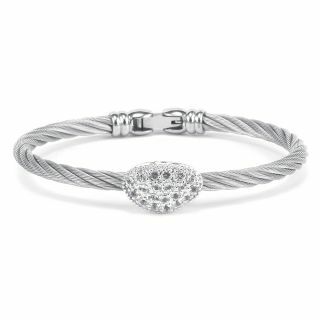 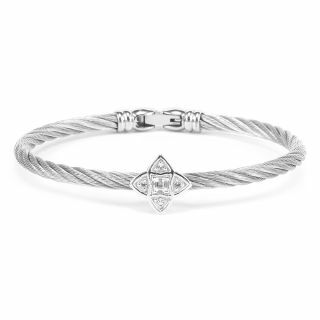 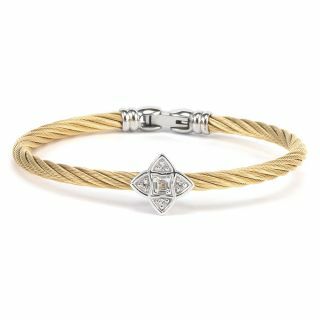 Designed to be worn alongside the others in the range, this bangle is made from Charriol’s signature cabling and shines with a trio of swirling motifs, adorned with topaz stones, and a sterling silver clip clasp. 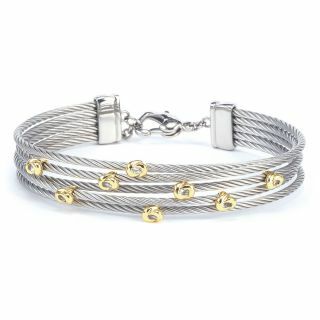 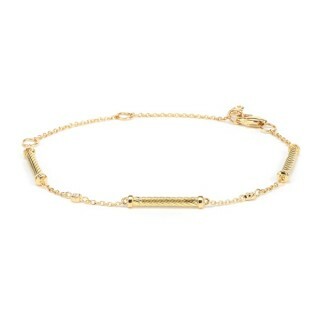 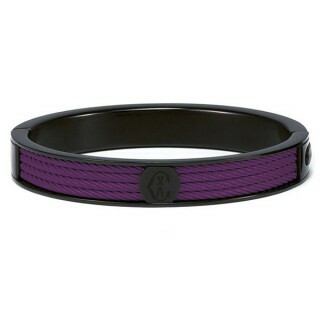 Subtle and elegant, it is crafted with the Swiss Maison’s world-renowned artistry.